Health conscious people want to take care of their teeth. However, many men and women need a place where they can review basic principles of dental health and get straightforward information about restorative and cosmetic dental procedures such as dental implants, teeth whitening, and veneers. 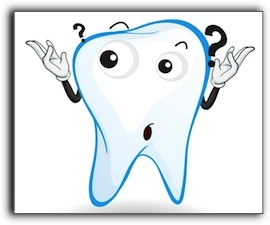 This blog from a Lafayette CO dentist is your source for this helpful oral care information. We hope that this information will help you make educated decisions about your oral care. At Boulder County Smiles in Lafayette CO, we provide general and family dentistry, dental implants, and treat conditions like sleep apnea. Schedule an appointment today. At Gordon West DDS in Lafayette CO, we often see patients who say they have been struggling with deficient sleep for months or even years. Some of these individuals end up being diagnosed with sleep apnea or related conditions. The reluctance to obtain professional help is lamentable, because sleep apnea takes such a high toll on health and reduces quality of life. If they are keeping someone up at night, it makes life more difficult for that person, as well. For some puzzling reason, many individuals don’t consider sleep apnea a grave issue. Why the disconnect? We are talking about breathing, folks! There isn’t a biological activity more indispensable than that. And poor sleep can cause a myriad of serious health issues. It also impacts performance in every area of life; work, hobbies, and social activities. Sleep apnea is a condition where you have frequent, recurring delays in breathing while you sleep. These lapses can last for up to 60 seconds and are usually caused by soft tissue in the back of the throat that relaxes and blocks the airway. As you can probably imagine, when the brain is not getting enough oxygen it hinders vital biological processes. Cause: Throat muscles soften and cover the airway. This is the most prevalent type. If you experience any of these symptoms, we invite you to discuss it with us at Gordon West DDS in Lafayette CO. Sleep apnea is one of our specialties. We also provide general and family dentistry. Do you have obstructive sleep apnea? If so, it’s important to see a Boulder health care professional right away. Left untreated, sleep apnea can become life-threatening. Recurring lapses in breathing during sleep cuts off oxygen to the brain. When the brain isn’t getting enough oxygen, the heart slows down. When the person resumes breathing, the heart goes into panic mode to push the oxygen to the brain. Then the cycle repeats itself many times an hour each and every night. This stop-and-start action is dangerous for every organ in the body. CPAP (Positive Airway Pressure) may be the best-known treatment for sleep apnea. But it isn’t the only one. Oral appliance therapy (OAT), conducted by a dentist, can be an effective treatment for obstructive sleep apnea. A custom-fitted oral appliance allows patients to breath normally during the night. A diagnosis of obstructive sleep apnea must be made by a physician. If the physician recommends oral appliance therapy, he or she will refer the patient to a dentist who is trained in treating sleep disorders. If you have been suffering from untreated obstructive sleep apnea, OAT can restore your health. The team at Gordon West DDS Aesthetic & General Dentistry encourages you to see your doctor soon, before your health is compromised. If you have already received a diagnosis of OSA and would like information about OAT, call the office of Gordon West DDS Aesthetic & General Dentistry for an appointment or consultation. We also provide cosmetic and general and family dentistry.